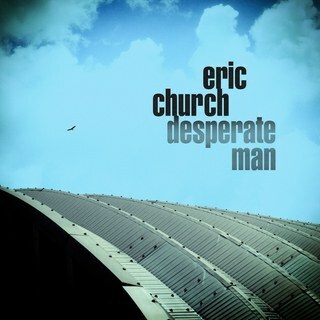 Released on October 5th, Desperate Man is Eric Church's sixth studio album, holding twelve tracks each co-written by Eric. When I first listened to the album I wasn't really drawn in but the more I listen the more I find myself warming to the release. My favourite song here is undoubtedly Hippie Radio. The 'rootsy' feeling to the overall sound works incredibly well with the acoustic guitar line offering a sense of continuity throughout the track as well as an interesting way of holding a steady pace. The multi-faceted song offers a developing lyrical story alongside an instrumentalisation that cushions Eric's faultless vocal. A really impressive track from start to finish! Preceding number Monsters is another impressive addition. Listeners can here Eric's band member Joanna Cotten lending her vocals to the chorus here with the blend between the two voices adding another dynamic to the track. With a similar 'rootsy' feel to Hippie Radio, I'd love to hear Monsters performed completely acoustically and it would be nice to have heard more made of the military style drumming at the end of the track (which works very well but is far too short in my opinion!). Once again Eric's voice sounds completely at home and I'm sure it will be a song that will win a lot of fans. Opening track The Snake is a little strange compared to the rest of the songs offered here in my opinion. With an almost two minute long instrumental introduction it doesn't sit particularly well as the opening to the whole album and there are various production and vocal choices that leave the listener feeling a little underwhelmed ultimately. Conversely album closer Drowning Man is a lot stronger. The rocky steampunk style rounds out listening experience really well and the musical journey through the track is highly compelling, with the dynamic changes keeping listeners interested and invested throughout. It is certainly nice to see Eric build upon the return to his 'rootsier' material that 2015's Mr Misunderstood offered, these songs being a lot stronger than his rockier tracks in my opinion. Make sure you take a listen, another impressive album from Eric Church! Labels: Eric Church "Desperate Man"
Josh Turner - "I Serve A Savior"